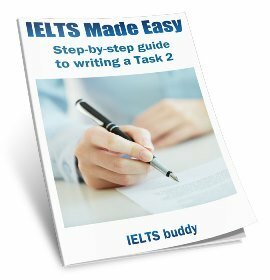 Once you have identified the topic (previous lesson) for your essay, you need to identify the task. The ‘task’ is the part of the question that tells you what you have to do to answer it. This is one of the most important things you will have to do when you analyze the essay question. Why? Because 25% of your grade for the essay is based on ‘Task Response’ - how you have responded to the task. How do I identify the task? In order to grade your task response, the examiner will be looking to see if you have answered the question. If you have only partially answered the question, this will decrease your grade for this criteria. Discuss some possible reasons for this increase and suggest solutions. In the previous lesson, we identified the topic for this question as‘teenage crime’. 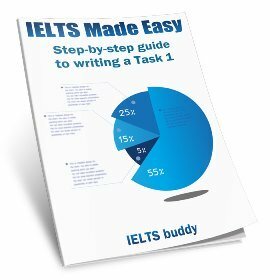 The task - or ‘what you have to do’ - is usually at the end of the prompt. As you can see, you are being told to ‘Discuss some possible reasons for this increase and suggest solutions’. 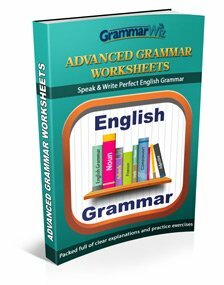 You MUST discuss both those things to ensure you have fully answered the question and you must write roughly equal amounts about each part. This is why it is so important to spend some time at the beginning making sure you identify the task so that you know what you have to write about. It is a common mistake for students to rush at the beginning to start writing as they are worried about not finishing, and then write about the wrong thing. For example, when you have finished identifying the task, you will brainstorm your ideas. You may come up with reasons for an increase in crime such as ‘lack of parental supervision’ and ‘boredom’. However, I have seen students come up with problems of teenage crime, such as ‘more young people being put in prison' and ‘stress for their parents'. This particular task asks you to write about ‘reasons’, not ‘problems’(though being asked to write about 'problems and solutions' is common). So if you do this you will not be answering the question. This comes from rushing and not taking enough time to identify the task properly. The previous question was fairly easy, so to identify the task was hopefully not too difficult. Some questions, though, will take more thought in order to identify what you need to write about. Advances in technology and automation have reduced the need for manual labour. Therefore, working hours should be reduced. Again, look to the end of the prompt to identify the task. You have to say if you agree or disagree with working hours being reduced, or, in other words, automation (machines) taking over from some human’s duties. You must also say how much you agree or disagree ("to what extent"). And of course in the introduction or conclusion you need to make it clear what your opinion is. If you do all of these things then you will have answered all parts of the prompt. If you find more reasons to agree than disagree, then you can write more about this side of the argument, or visa versa. 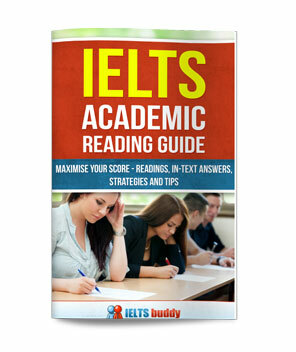 Now you can have a practice identifying the task for some IELTS essay questions. Pick the one that you think best describes what you would write about in order to fully answer all parts of the question. The rising levels of congestion and air pollution found in most of the world cities can be attributed directly to the rapidly increasing number of private cars in use. In order to reverse this decline in the quality of life in cities, attempts must be made to encourage people to use their cars less and public transport more. The causes of increasing congestion and air pollution. Fresh water has always been a limited resource in some parts of the world. Today, however, growing worldwide demand has made this a global problem. How (a) Governments and (b) Individuals can solve water shortage problems. As global trade increases, many goods including those we use on a daily basis are produced in other countries and transported long distances. Do the benefits of the trend outweigh the drawback? Some people feel that animals should have the same rights as humans, but others think they are not as equal or intelligent as us so should not have the same rights. (a) How governments can tackle urban overpopulation (b) How individuals can tackle urban overpopulation. Computers should never have been invented. (a) The reasons why computers were invented (b) The benefits of computers (c) Your opinion. (a) The problems with computers (b) Solutions to these problems. (a) The problems with increasing unemployment (b) How to solve this problem. (a) The reasons why unemployment is increasing. Some people think that young children should be allowed to do paid work, while others think that this should be illegal. (a) The advantages of allowing children to do paid work (b) Your opinion. (a) The advantages of allowing children to do paid work (b) The disadvantages this (c) Your opinion. (a) The problems of allowing children to do paid work (b) The benefits of allowing them to do paid work.